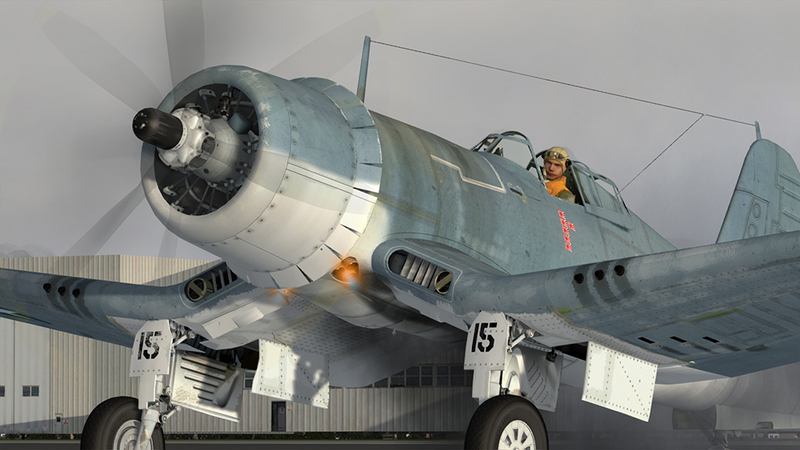 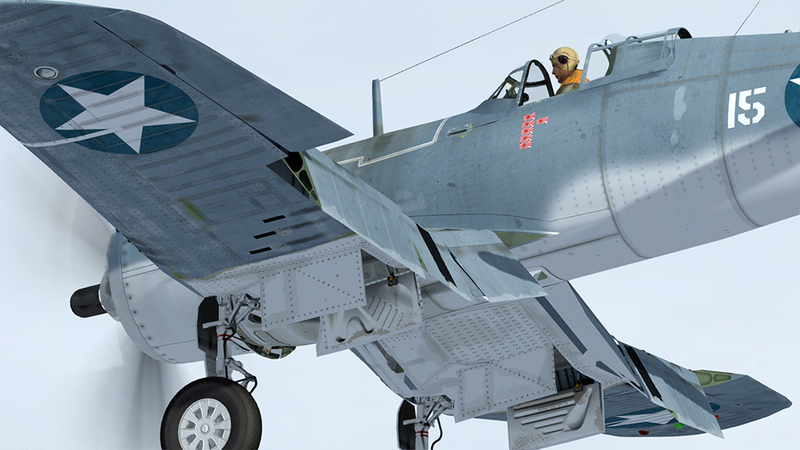 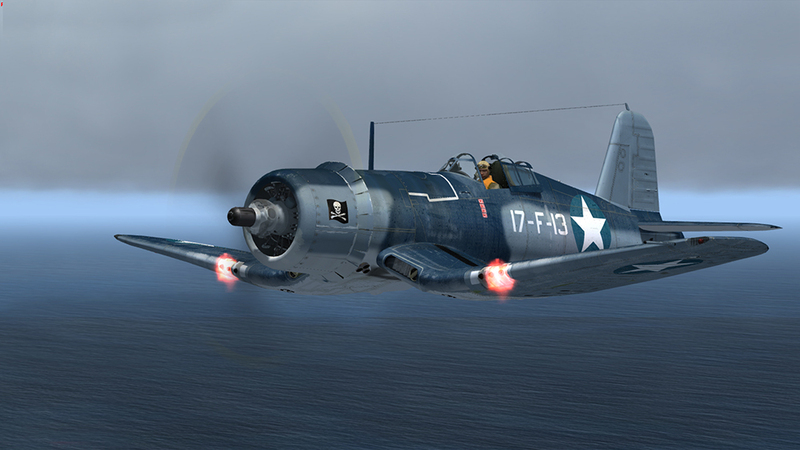 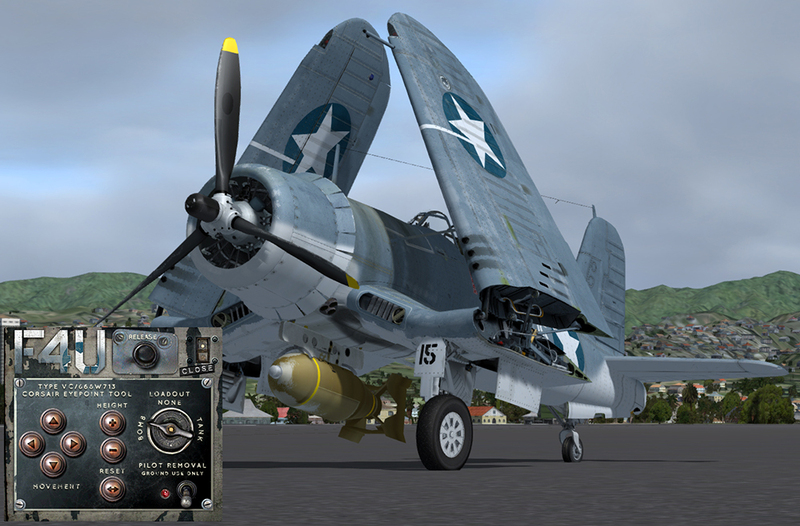 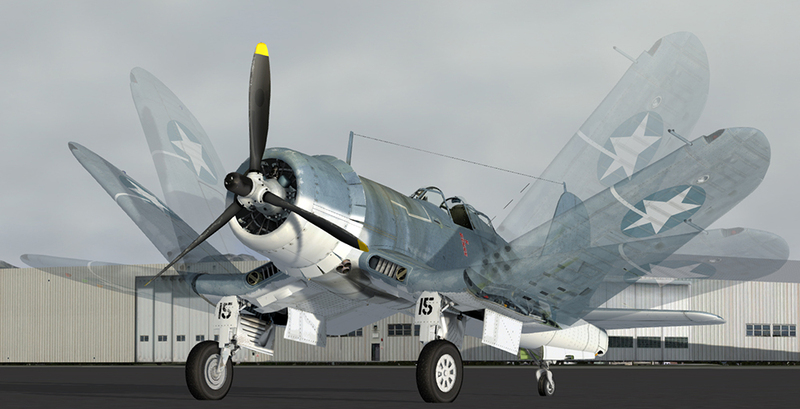 Product information "F4U-1 Corsair Birdcage"
This highly detailed model features a fully functioning virtual cockpit, intricate cowl flap mechanisms, oil cooler and intercooler doors, wing folding mechanics, tail hook, animated bomb and drop tank release and more. 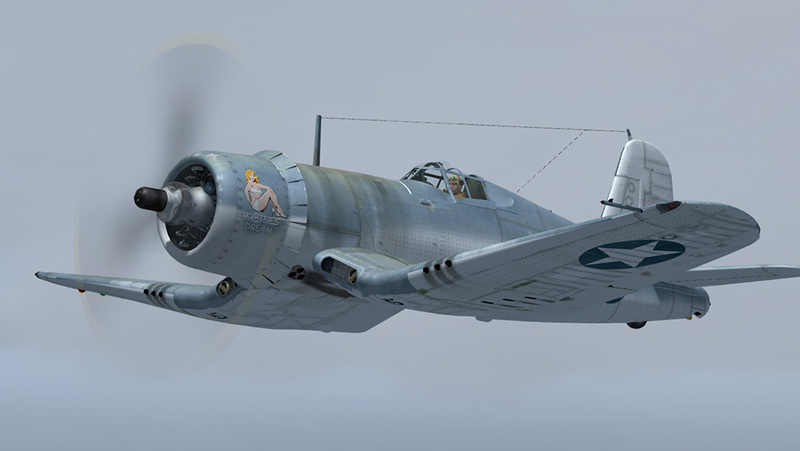 An additional external model depicts the F4U-1B clipped-wing variant of the Corsair which was flown by the Royal Navy, who clipped the wings for easier storage in its cramped hangar decks and for better stall behaviour. 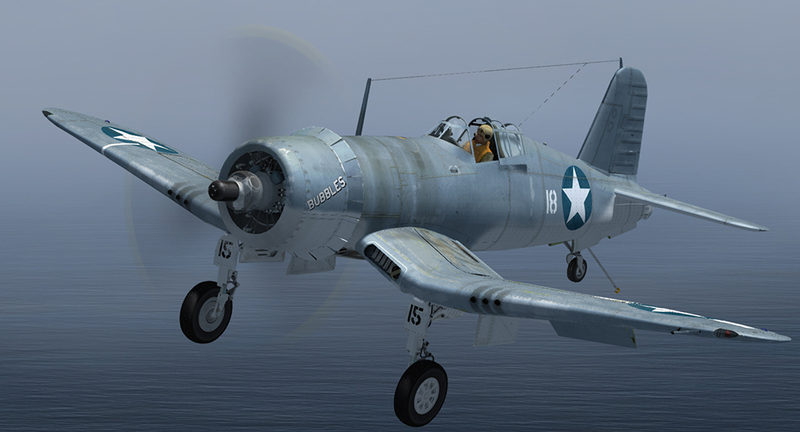 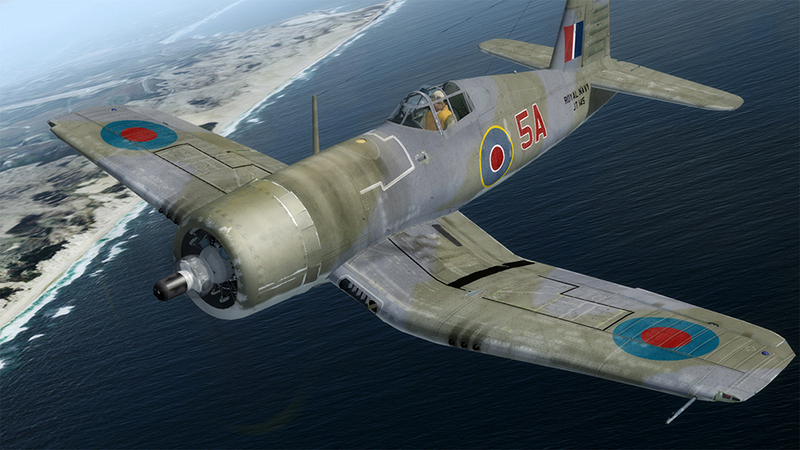 In 1938 the US Navy Bureau of Aeronautics issued request for proposals for a ship-borne fighter aircraft. 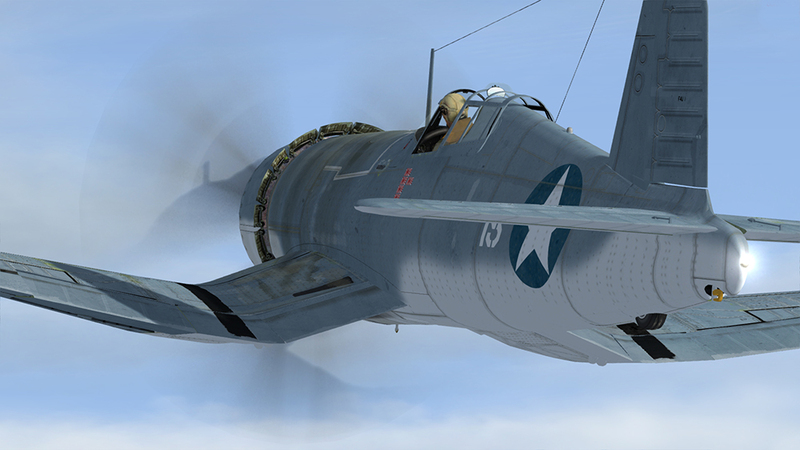 Vought-Sikorsky answered the call with a proposed design powered by a 2,000hp twin-row, 18-cylinder radial from Pratt & Whitney known as the ‘Twin Wasp’, one of the most powerful aero engines of the period. 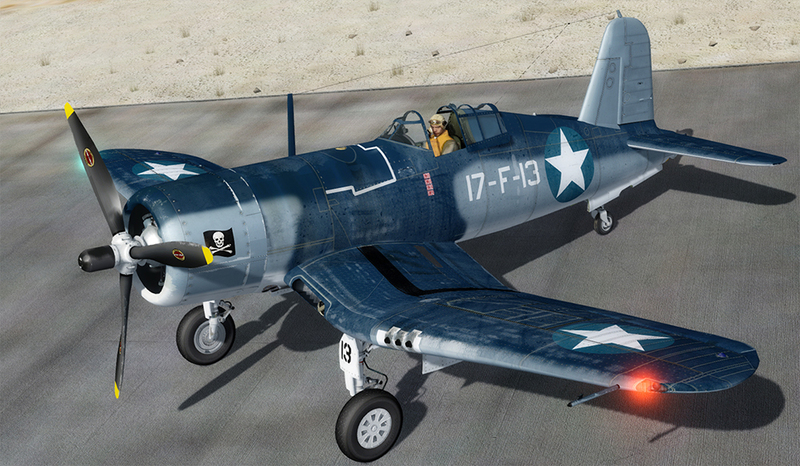 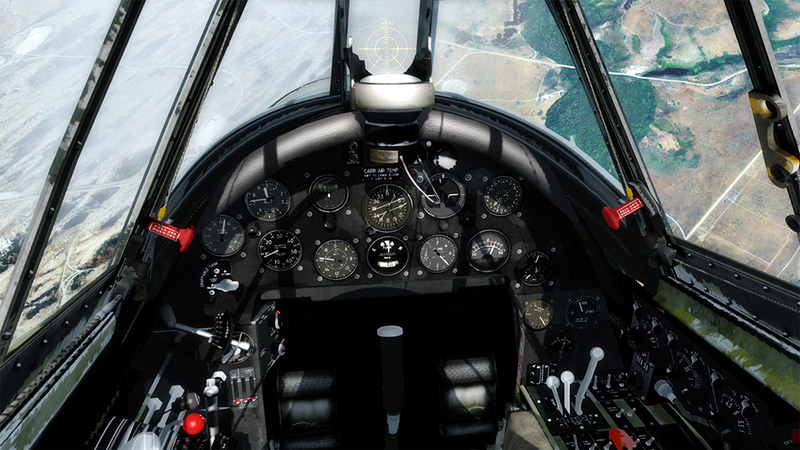 In the first year of production, 1942, Vought produced 178 F4U-1s. 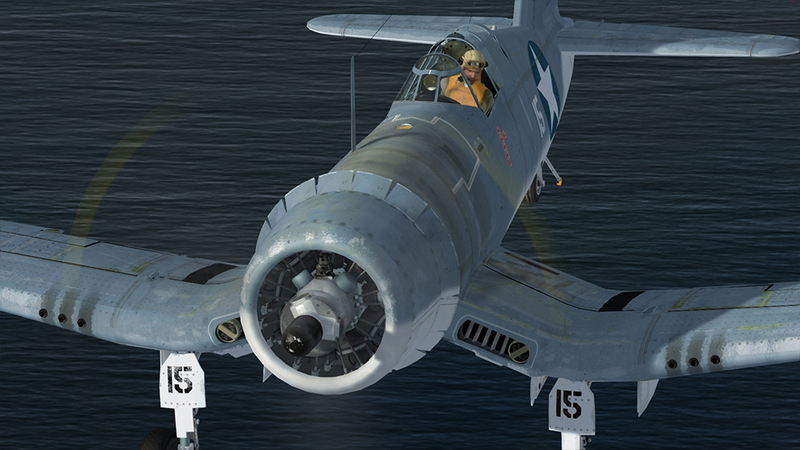 These aircraft soon found their way to front line duty in the Pacific Theatre, immediately flying combat missions in 1943 with the US Marine Corps based in the islands. 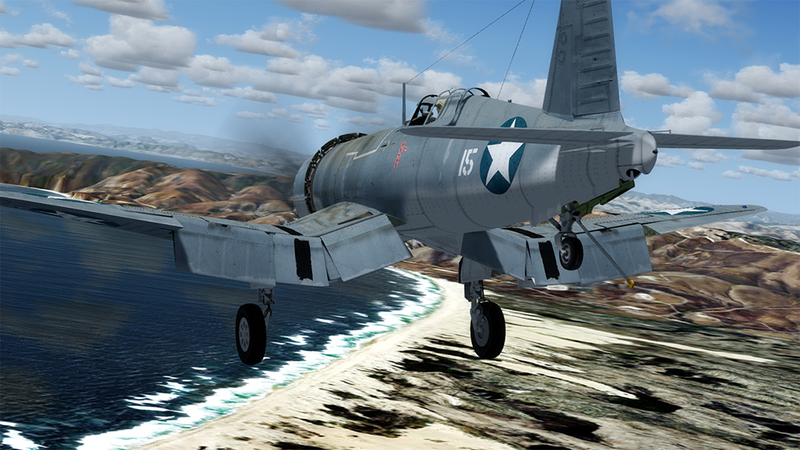 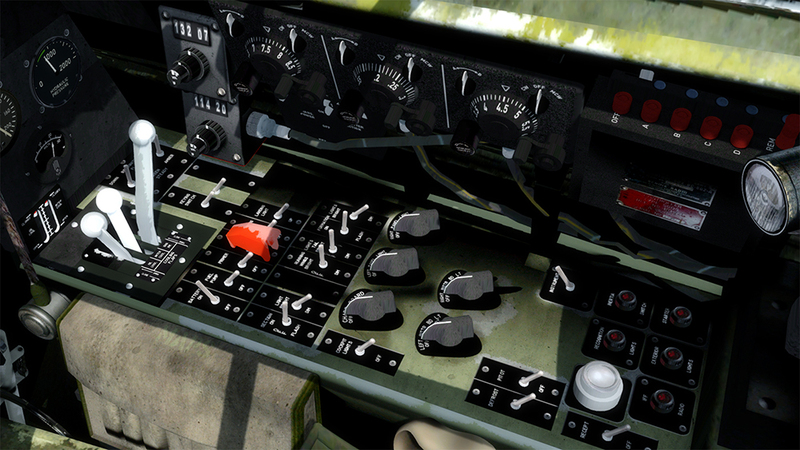 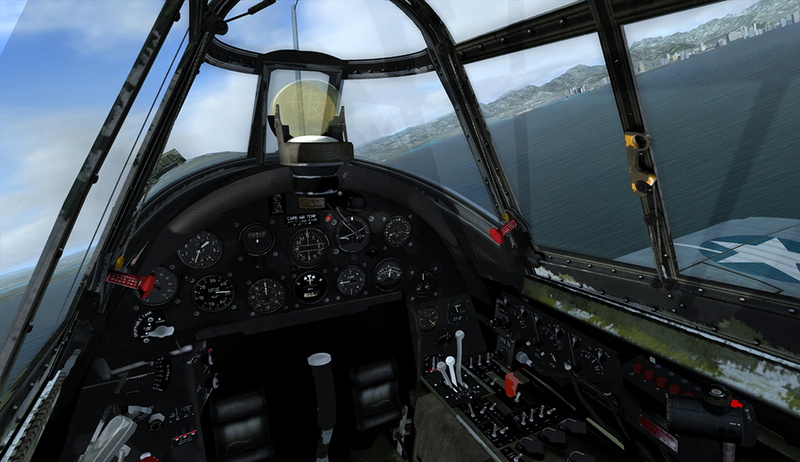 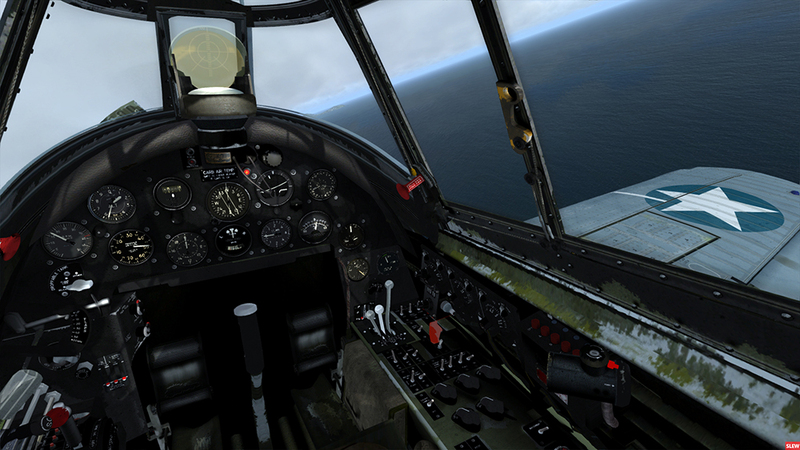 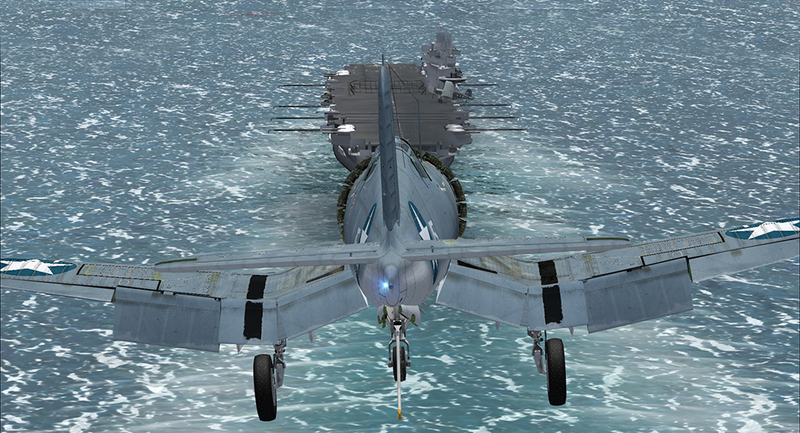 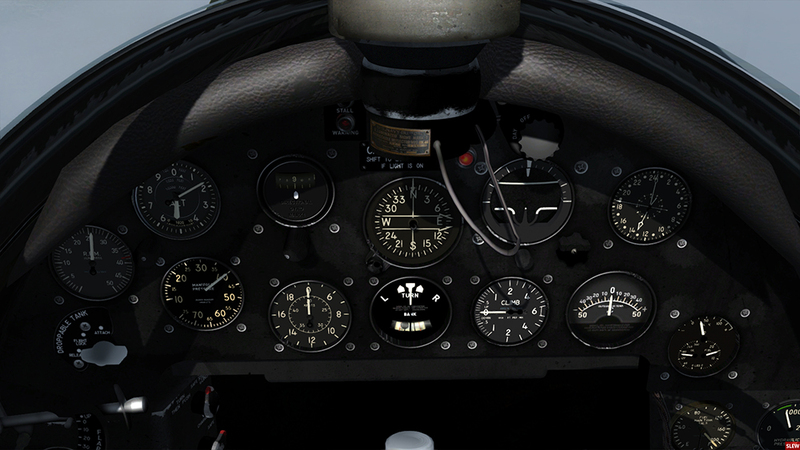 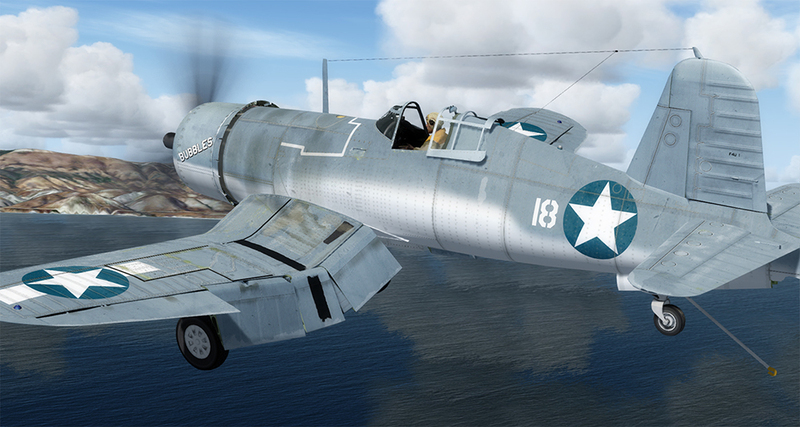 The first combat mission was carried out by VMF-124 on February 11th, 1943. 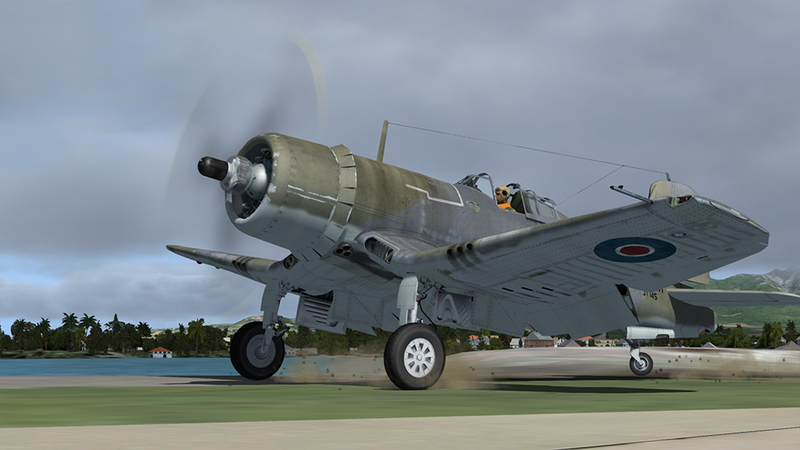 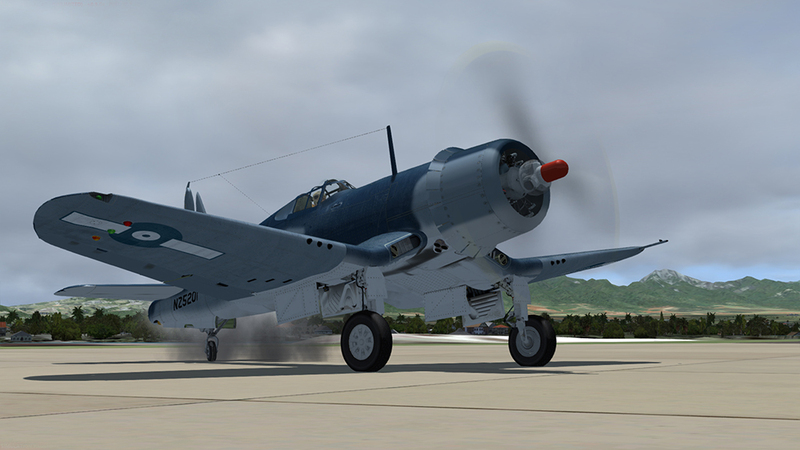 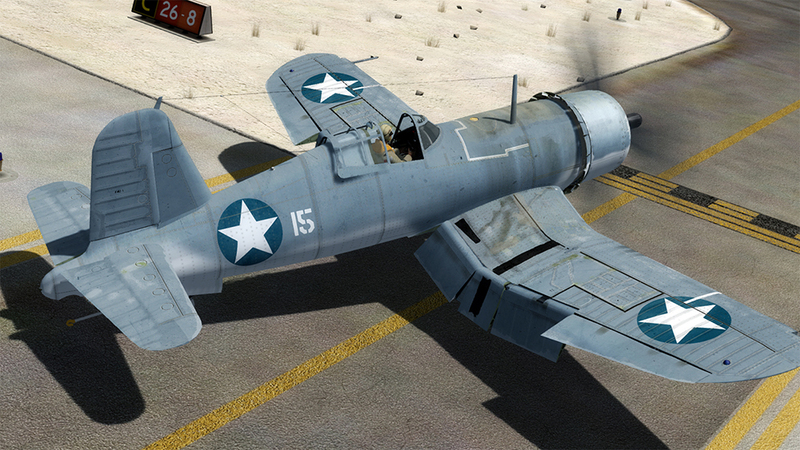 The Corsair served with great distinction throughout the remainder of WWII and later in the Korean conflict. 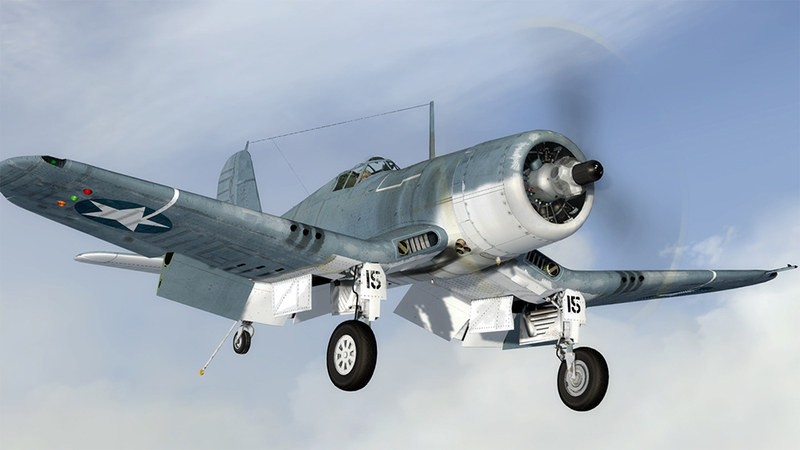 Later variants of the Corsair were employed by other international forces such as the French and Argentine navies, flying on into the 1950s and 1960s. 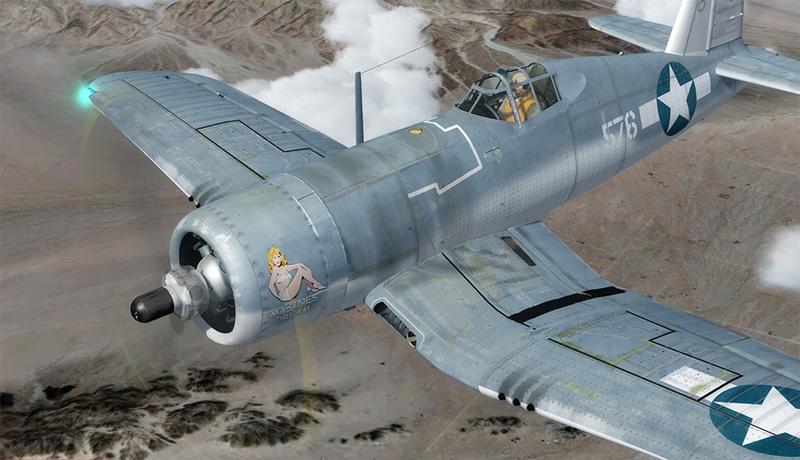 Over 12,000 were eventually built and many airworthy examples still exist in private ownership. 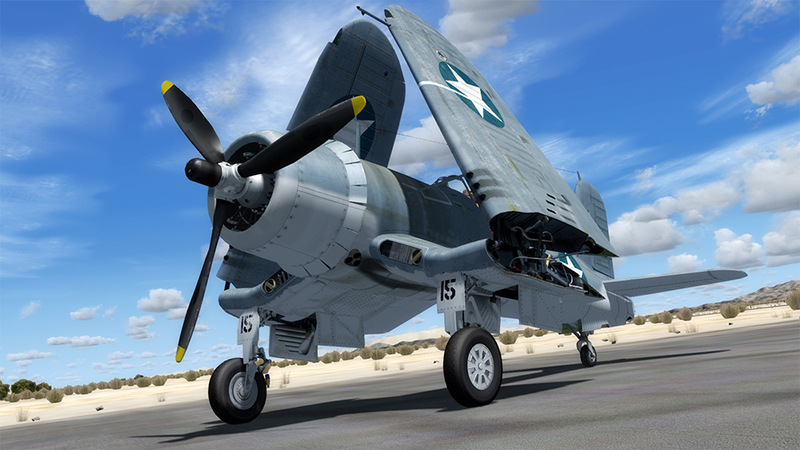 Related links to "F4U-1 Corsair Birdcage"